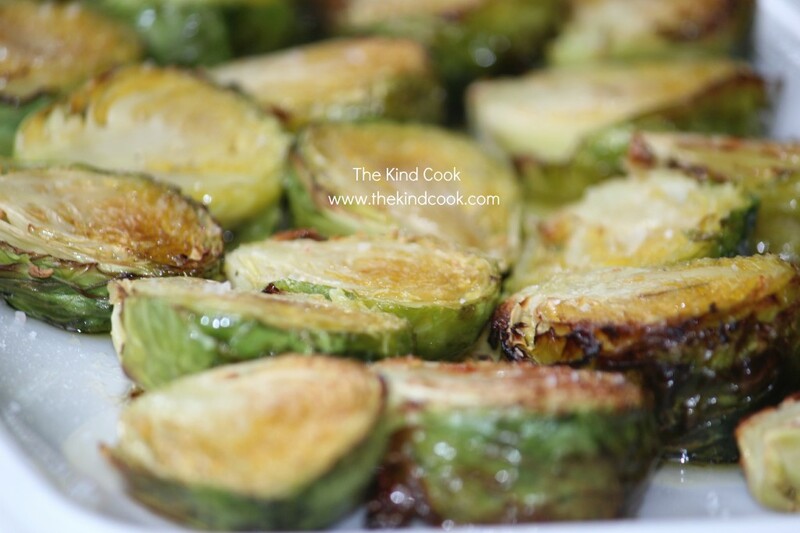 I have despised brussel sprouts my entire life, then a few months ago when they came up in conversation with a friend she told me that if I simply put them in the oven with a little oil and some salt and roasted them that they are beautiful. I was far from convinced but am a lot more adventurous these days so gave it a shot and they were pretty good. I did them again a few weeks later but pushed them a little further till they started to caramelise and I really liked the result and found myself eating one after the other. These days they are often seen sitting freshly roasted on a tray on our stove top for a snack as I cook. Cut the ends off a ton of brussel sprouts and discard the ends. Slice the brussel sprouts in half. Place on a tray, drizzle with some oil. Sprinkle a generous amount of salt over them. Place them in the oven and cook them until they caramelise.